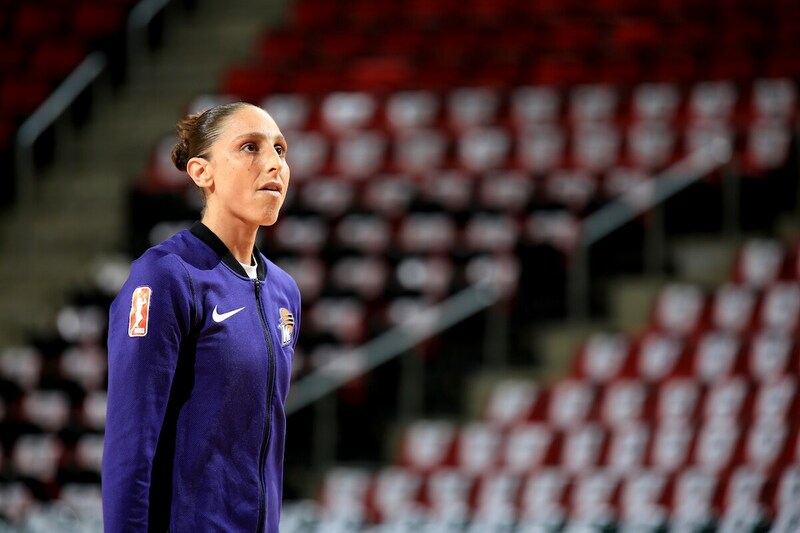 SEATTLE, WA - AUGUST 28: Diana Taurasi #3 of the Phoenix Mercury is seen before the game against the Seattle Storm during Game Two of the WNBA SemiFinals at KeyArena in Seattle, Washington. 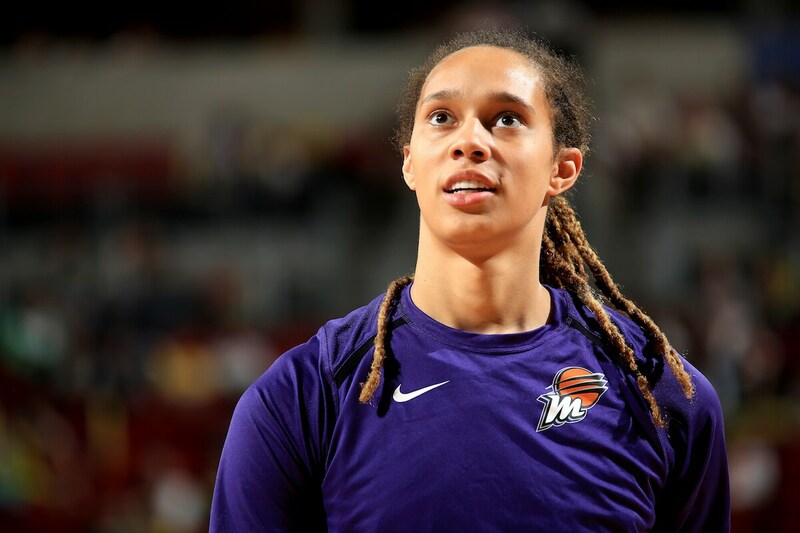 SEATTLE, WA - AUGUST 28: Brittney Griner #42 of the Phoenix Mercury is seen before the game against the Seattle Storm during Game Two of the WNBA SemiFinals at KeyArena in Seattle, Washington. 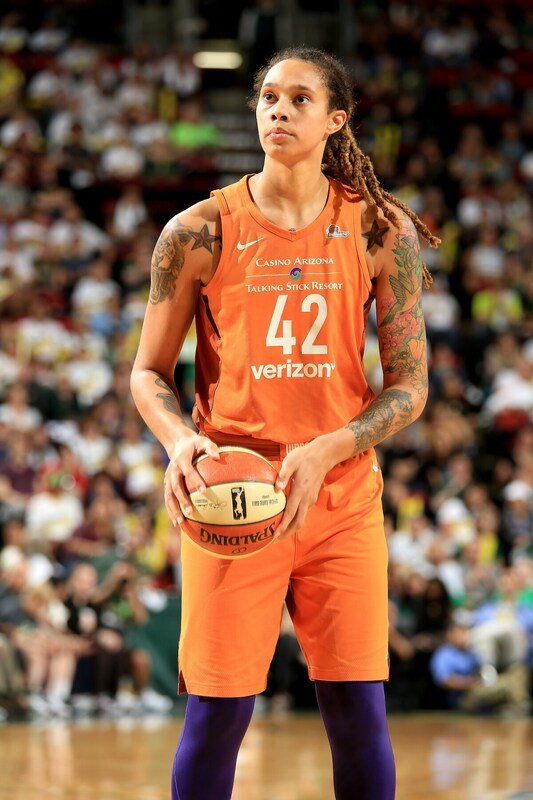 SEATTLE, WA - AUGUST 28: Brittney Griner #42 of the Phoenix Mercury is seen during the game against against the Seattle Storm during Game Two of the WNBA SemiFinals at KeyArena in Seattle, Washington. 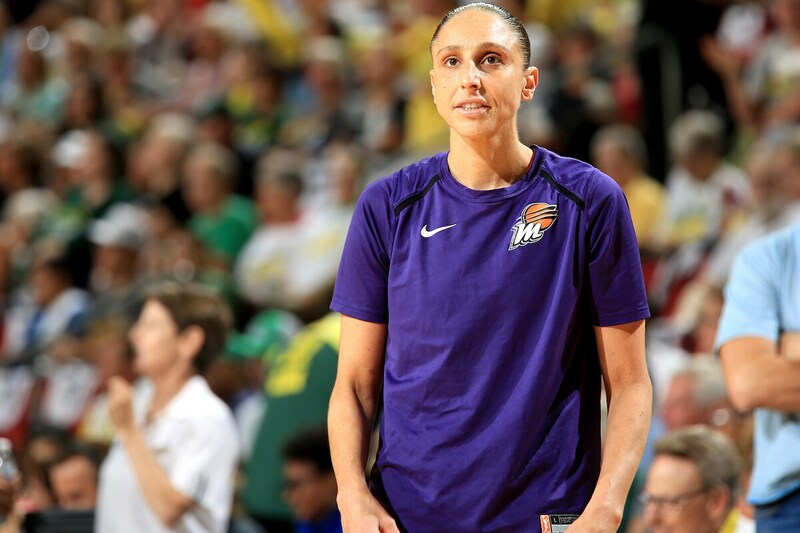 SEATTLE, WA - AUGUST 28: Diana Taurasi #3 of the Phoenix Mercury is seen during the game against the Seattle Storm during Game Two of the WNBA SemiFinals at KeyArena in Seattle, Washington. 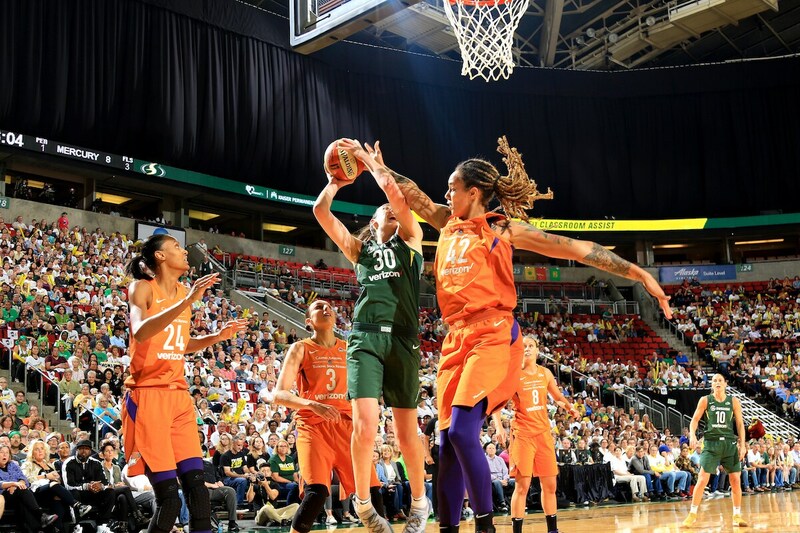 SEATTLE, WA - AUGUST 28: Breanna Stewart #30 of the Seattle Storm shoots the ball during the game against the Phoenix Mercury during Game Two of the WNBA SemiFinals at KeyArena in Seattle, Washington. 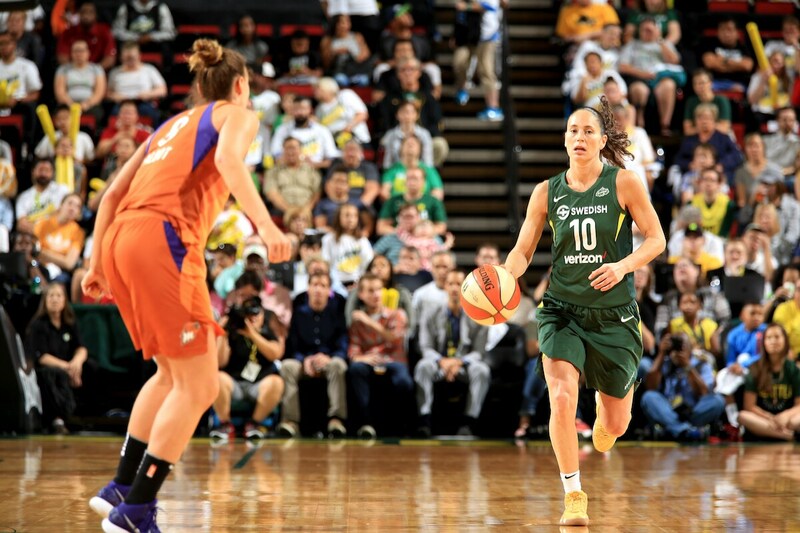 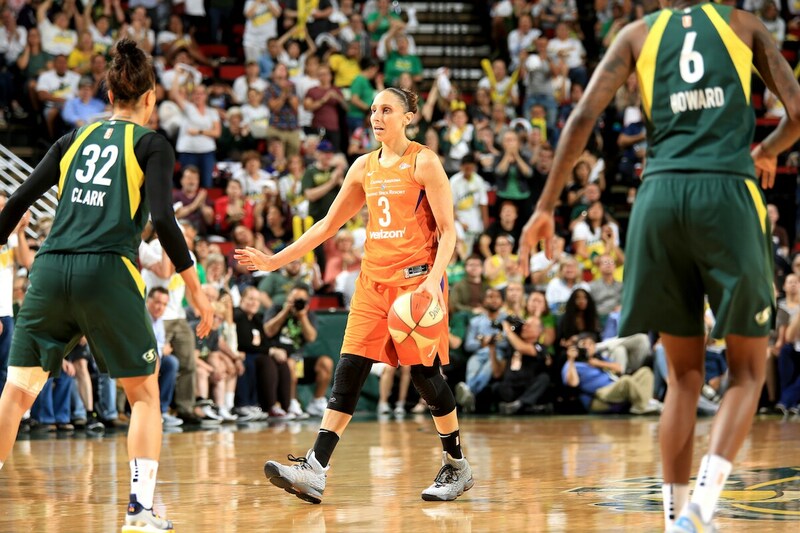 SEATTLE, WA - AUGUST 28: Sue Bird #10 of the Seattle Storm handles the ball against the Phoenix Mercury during Game Two of the WNBA SemiFinals at KeyArena in Seattle, Washington. 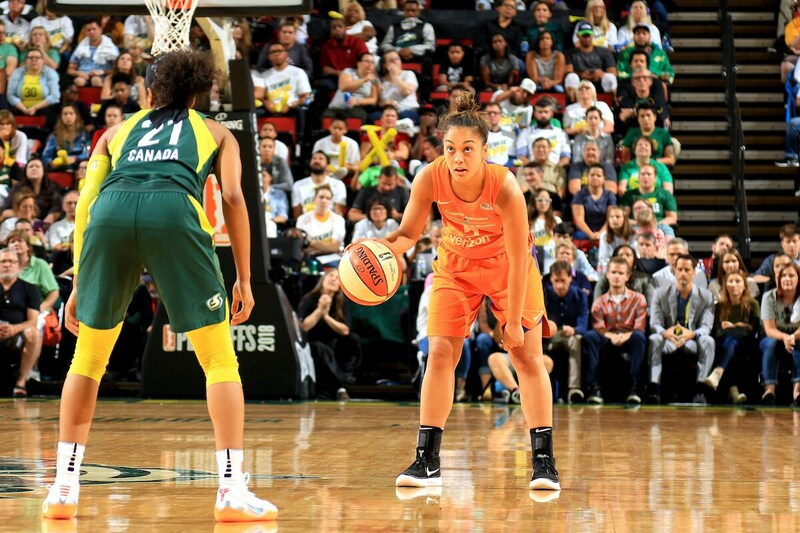 SEATTLE, WA - AUGUST 28: Briann January #12 of the Phoenix Mercury handles the ball against the Seattle Storm during Game Two of the WNBA SemiFinals at KeyArena in Seattle, Washington. 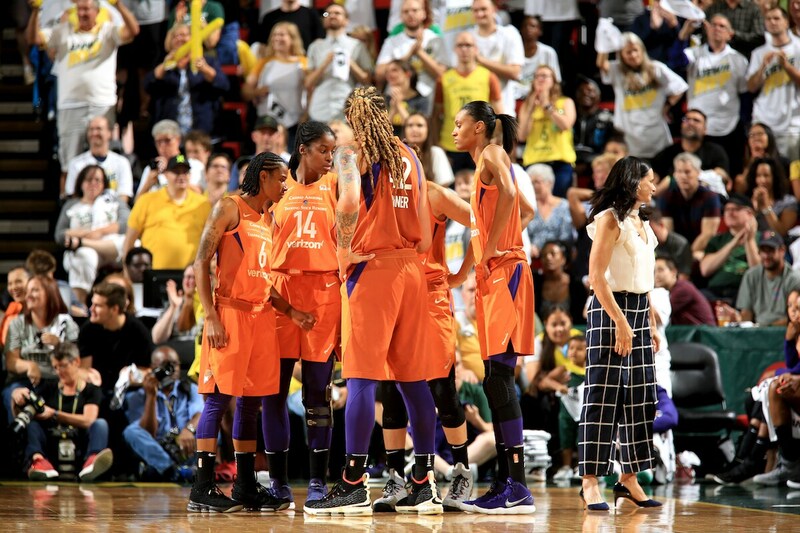 SEATTLE, WA - AUGUST 28: The Phoenix Mercury huddles up against the Seattle Storm during Game Two of the WNBA SemiFinals at KeyArena in Seattle, Washington. 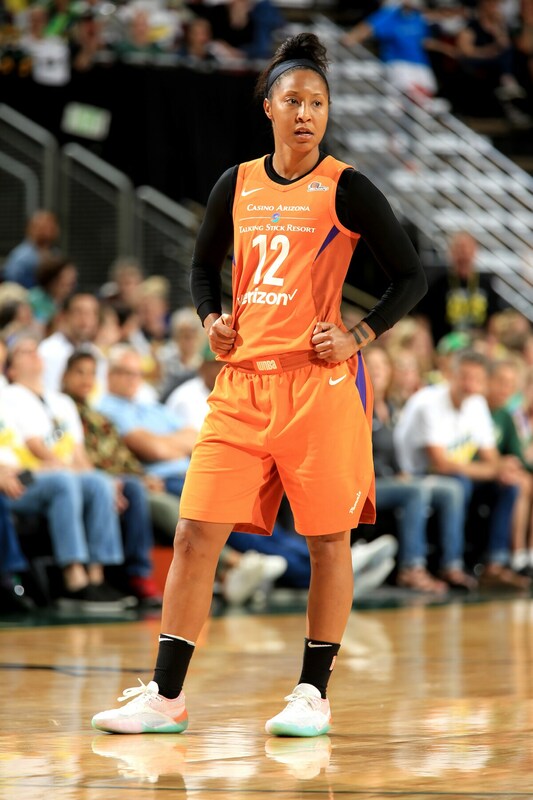 SEATTLE, WA - AUGUST 28: Briann January #12 of the Phoenix Mercury is seen against the Phoenix Mercury during Game Two of the WNBA SemiFinals at KeyArena in Seattle, Washington. 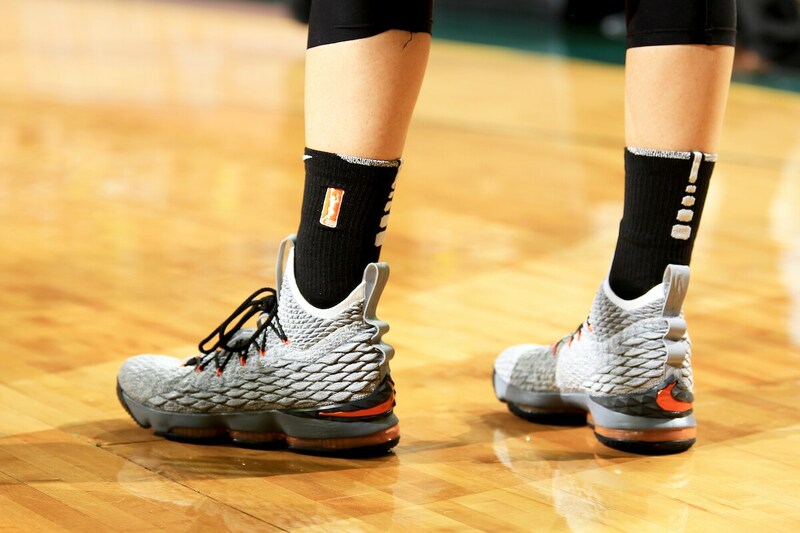 SEATTLE, WA - AUGUST 28: The sneakers worn by Diana Taurasi #3 of the Phoenix Mercury against the Seattle Storm during Game Two of the WNBA SemiFinals at KeyArena in Seattle, Washington. 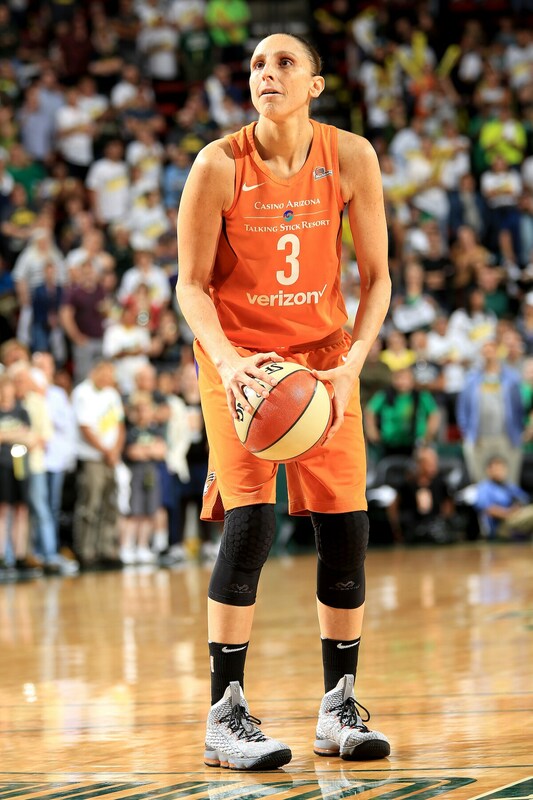 SEATTLE, WA - AUGUST 28: Diana Taurasi #3 of the Phoenix Mercury handles the ball against the Seattle Storm during Game Two of the WNBA SemiFinals at KeyArena in Seattle, Washington. 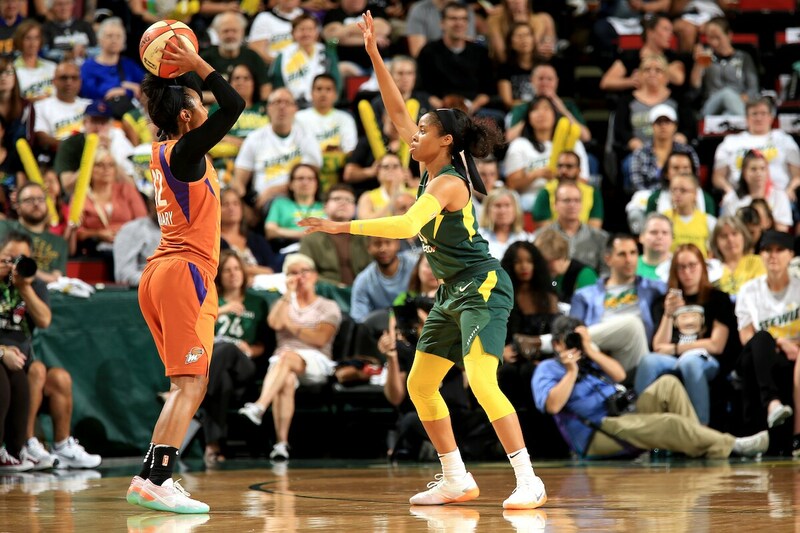 SEATTLE, WA - AUGUST 28: Leilani Mitchell #5 of the Phoenix Mercury handles the ball against the Seattle Storm during Game Two of the WNBA SemiFinals at KeyArena in Seattle, Washington. 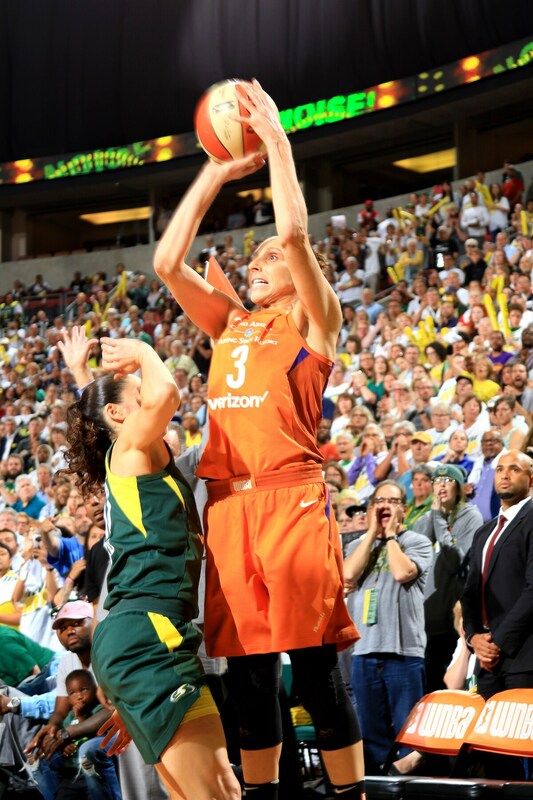 SEATTLE, WA - AUGUST 28: Diana Taurasi #3 of the Phoenix Mercury shoots game-tying three pointer against the Seattle Storm during Game Two of the WNBA SemiFinals at KeyArena in Seattle, Washington. 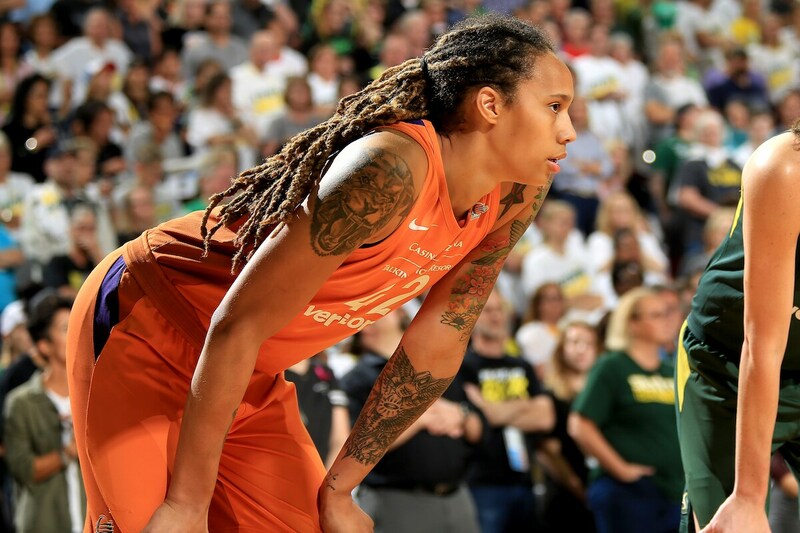 SEATTLE, WA - AUGUST 28: Brittney Griner #42 of the Phoenix Mercury shoots the ball against the Seattle Storm during Game Two of the WNBA SemiFinals at KeyArena in Seattle, Washington. 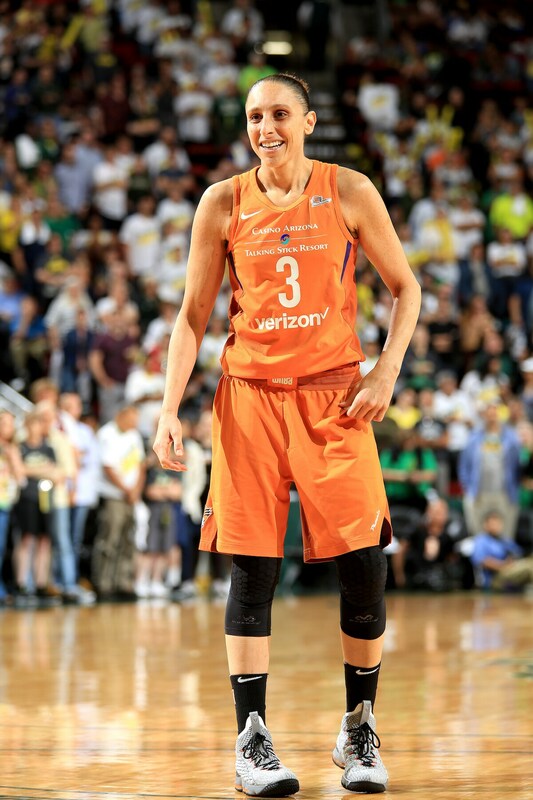 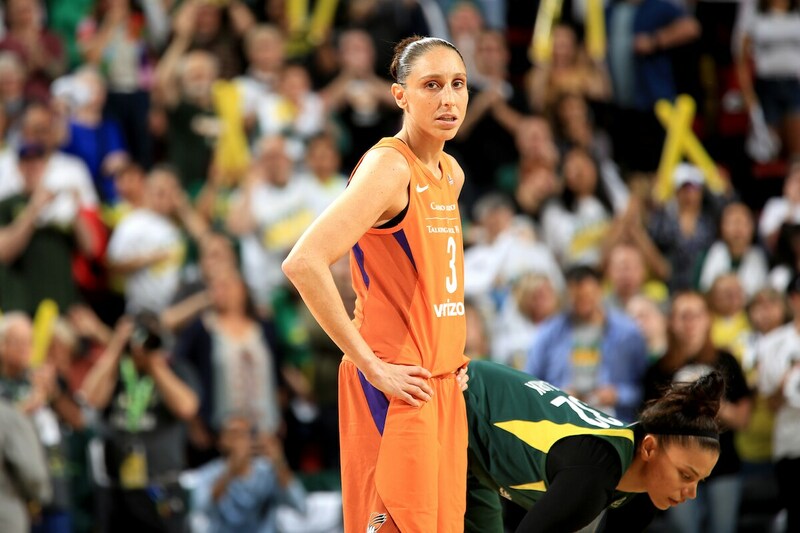 SEATTLE, WA - AUGUST 28: Diana Taurasi #3 of the Phoenix Mercury is seen against the Phoenix Mercury during Game Two of the WNBA SemiFinals at KeyArena in Seattle, Washington. 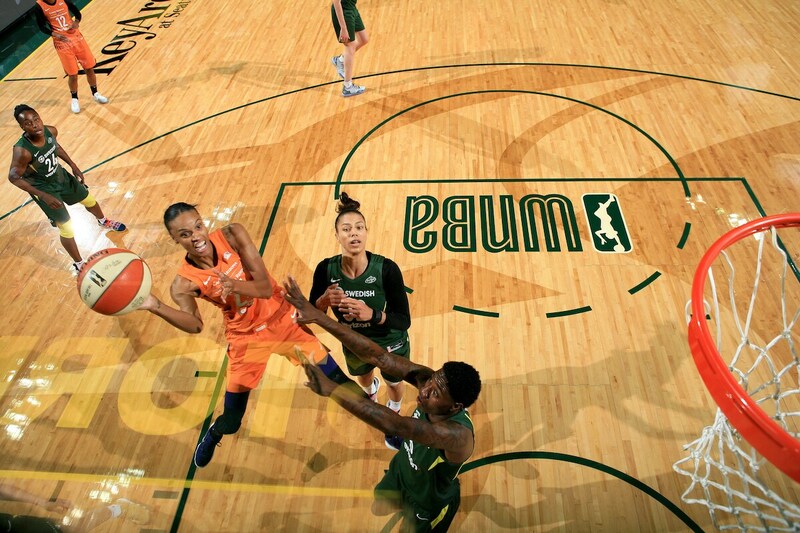 SEATTLE, WA - AUGUST 28: DeWanna Bonner #24 of the Phoenix Mercury shoots the ball against the Seattle Storm during Game Two of the WNBA SemiFinals at KeyArena in Seattle, Washington.